Exemptions are offered for NQF & PDE qualifications in full, and NQF in part. 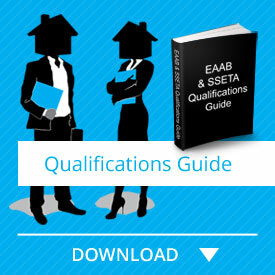 Applicants who have registered qualifications with subject matter that is relevant to real estate, or agents who have been practising in the real estate field for specific time periods with certain qualifications, can be found exempt by the Board. Non principle estate agents practising as full status or in a non principle capacity as well as those who have written and passed the old Board Exam, can apply for exemption to NQF4. All the above are required to complete an RPL Portfolio of Evidence (PoE) through an accredited training provider or RPL assessment centre approved by the Board. To help you through this process, we’ve developed an innovative e-Learning course for all applicants to help prepare you for your RPL process. This online RPL course, will provide you with a list of required documents that the Board need you to collate and place into your PoE. By purchasing this course, you will also have access to webinars and your own friendly facilitator whom you can contact should you have any queries. The RPL EAAB Exemption Application course includes a detailed guide to assist you in compiling your Portfolio of Evidence to the Boards specifications.